[19:01] <+MikeMason> I’m the line editor and lead writer at Chaosium for Call of Cthulhu. 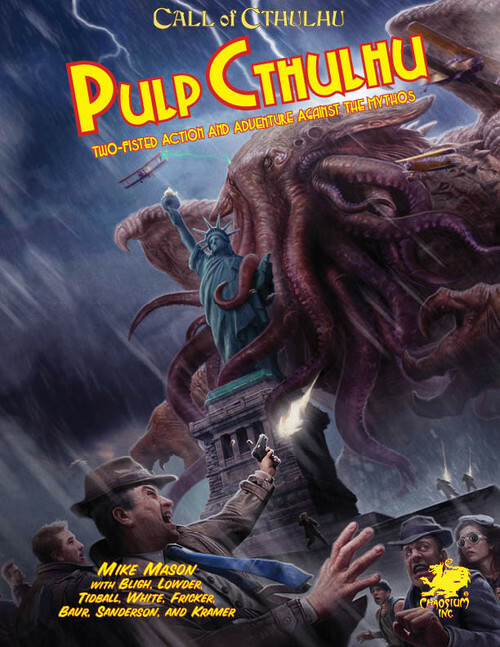 I co-wrote the 7th edition of Call of Cthulhu and also Pulp Cthulhu. I’m here for an hour and happy to answer your questions. [19:04] <+JasonOwenBlack> Alright, well my name is Jason Owen Black, I’m a freelance game designer based in Seattle, and I recently published vs. 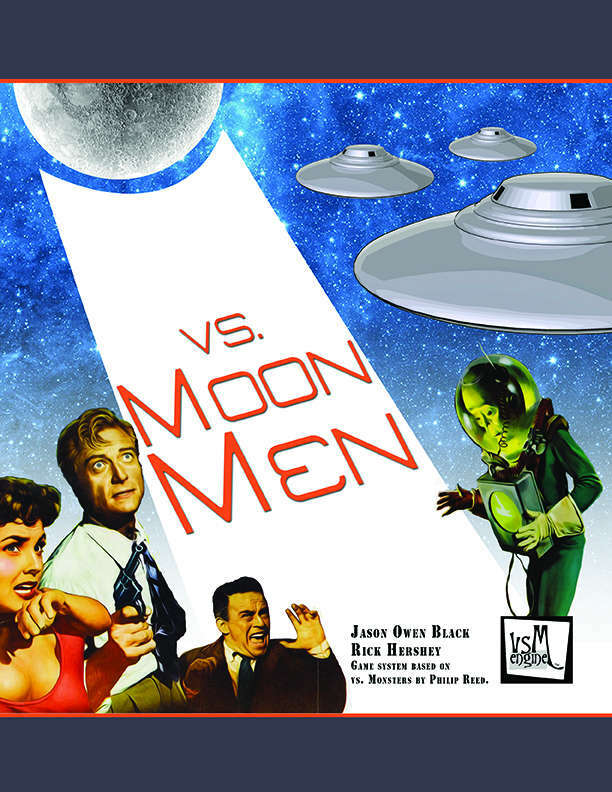 Moon Men with Fat Goblin Games. [19:04] <+JasonOwenBlack> It’s an alternate history wherein aliens from the Moon invade the Earth after the Apollo 11 landing, because they felt it was pretty rude of us. [19:05] <+JasonOwenBlack> It uses Philip J Reed’s vs. M Engine, which he originally developed for vs Monsters during a fevered 24 hour RPG design experiment in, I think, the ancient days of the 2003 or something. [19:06] <+JasonOwenBlack> It was a blast to write, and I got to develop some vehicle rules for the engine, which I think is a first! Have to have flying saucers and tanks, after all. [19:05] <+Amit_Moshe> Hi everyone, I’m Amit, creator of City of Mist. Excited to be here tonight. [19:05] <+Amit_Moshe> For those of you who don’t know the game yet, City of Mist is a noir RPG about ordinary people with legendary powers. [19:03] <+darrenwatts> Hey all! I’m Darren Watts, former President/Owner of both Hero Games (Champions, etc.) and Indie Press Revolution! I’m out of the owning things business these days, and am freelancing for several game lines including Doctor Who, Masks and Era. [19:04] <+darrenwatts> I am late in the Kickstarter for another new project, Golden Age Champions. It’s the rpg of punching Hitler in the face, which I think everybody can agree is the funnest thing you can do at the table. [19:05] <+darrenwatts> It closes Thursday, and I hope you’ll check it out and support us! I can answer any questions you have about it, or pretty much anything else I’ve worked on or will be working on. [20:01] <+StarAscension-Stuart> Good evening everyone, my name is Stuart Yee and I’m the co-creator of the Star Ascension RPG now on Kickstarter! [19:06] <&GKG_Alan> Hi! I’m Alan Bahr of Gallant Knight Games. I’m here because I’m helping fantasy author Brian McClellan spearhead bringin his novel series to the tabletop! [19:06] <&GKG_Alan> mages who eat gunpowder to fuel their firearm magic, shamans, elemental mages, and colonial era concerns (war, trade, revolution) all take place here! [19:07] <&GKG_Alan> We’re already funded and using Savage Worlds to fuel our system! [19:11] <+Biohazard> My name is Jeff Barber and I am the founder of biohazard games. I created the blue planet RPG and wrote the core book for the midnight D 20 campaign setting for fantasy flight games. My current role-playing project is upland which is on kick starter now. [19:11] <+Biohazard> Role-playing game is called wind and it is on kick starter now. [19:12] <+Biohazard> It’s going pretty well and and we are approaching 300% funding.